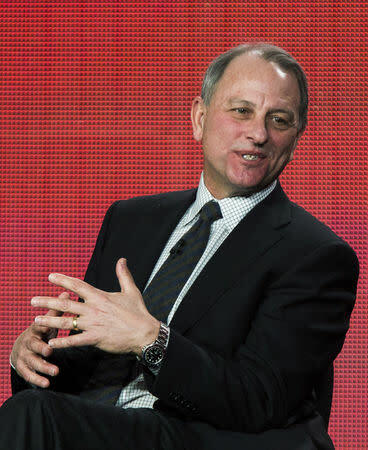 (Reuters) - The executive producer of the CBS television program "60 Minutes," Jeff Fager, is leaving CBS News, according to a company memo on Wednesday, amid reports of inappropriate behavior. The two-paragraph internal memo from CBS News president David Rhodes, which was seen by Reuters, said that Fager's departure "is not directly related to the allegations surfaced in press reports, which continue to be investigated independently." CBS Corp <CBS.N> Chief Executive Officer Leslie Moonves resigned on Sunday amid a new wave of allegations against him of sexual assault and harassment uncovered in two New Yorker stories in the past two months. CBS said on Monday that it would pay $120 million to former Chief Executive Officer Leslie Moonves if an internal investigation into allegations of harassment fails to provide grounds for his dismissal. In a statement to CBS News, Fager said his contract was terminated "for a harsh text I sent to a CBS employee." Fager did not respond to a request for comment on Wednesday.